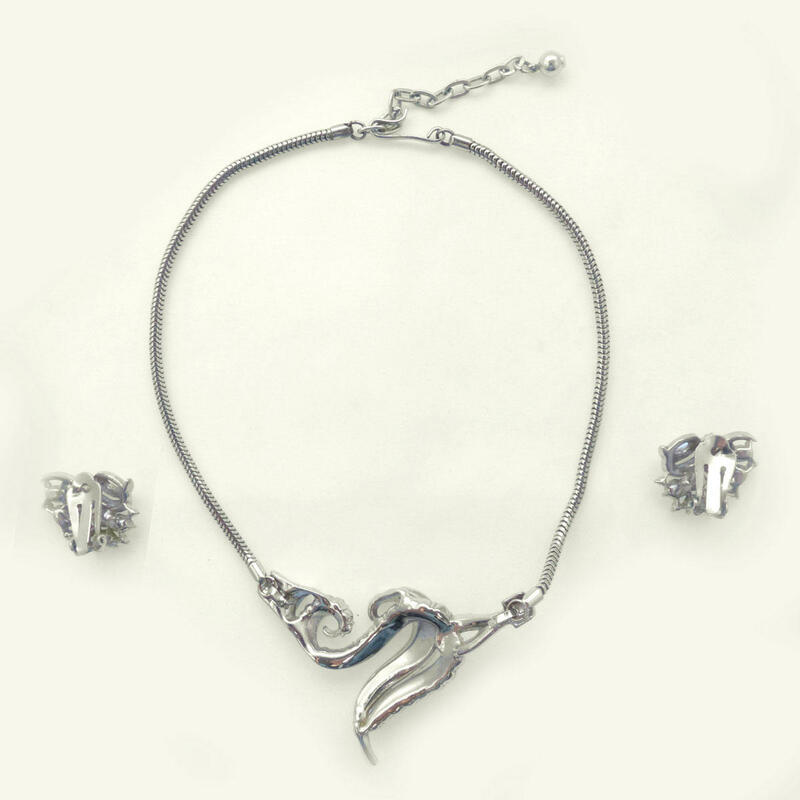 This classic brooch and earring set features pave set round and baguette rhinestones, set in a strikingly modern design. 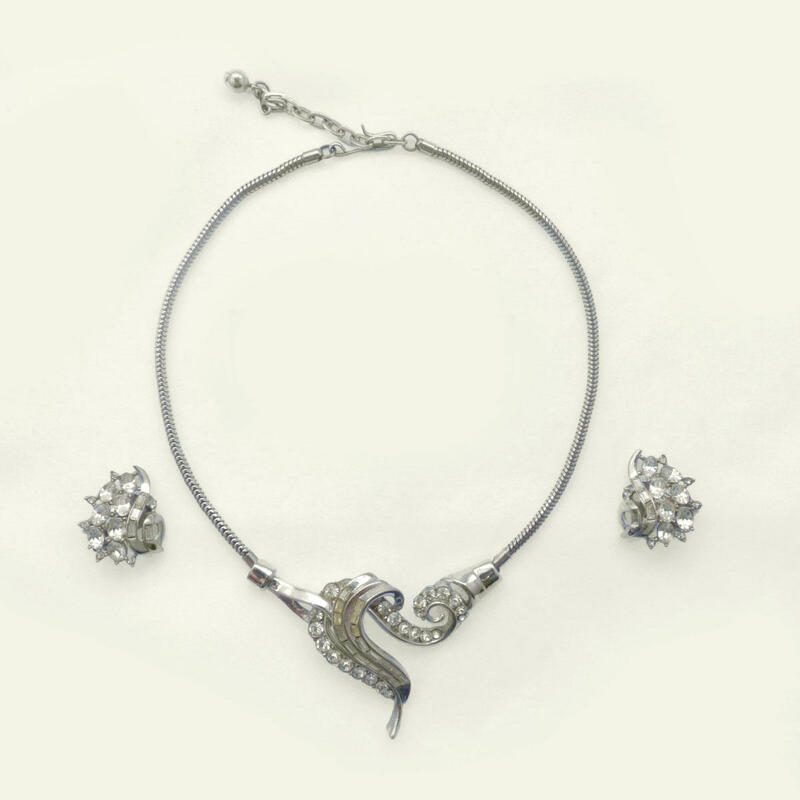 The snake chain is typical of the late Deco or Retro design period. The set is unsigned, late 1940's, Very good condition. The settings are near mint, however there is minor yellowing to some of the stones.